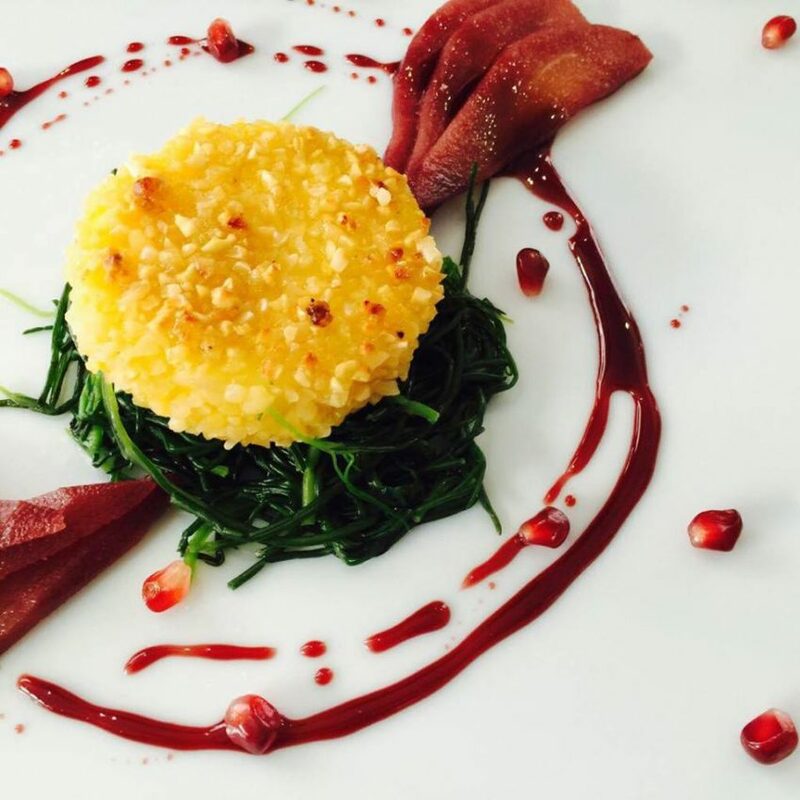 The best vegan and vegetarian restaurants in Rome. The capital city that’s famous for it’s lamb and amatriciana is actually one of Europe’s most vegetarian and vegan-friendly cities, according to Corriere della Sera. Through from breakfast to dinner time and from bistros to restaurants, the choice for veggies and vegans is getting even wider. You can enjoy delicious dishes that don’t skimp on flavour or cause any harm to animals. 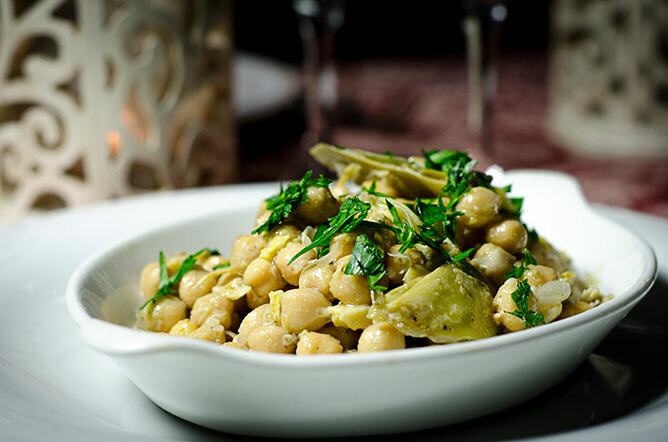 Read on for the addresses of the ten best Roman vegan and vegetarian restaurants. So What? 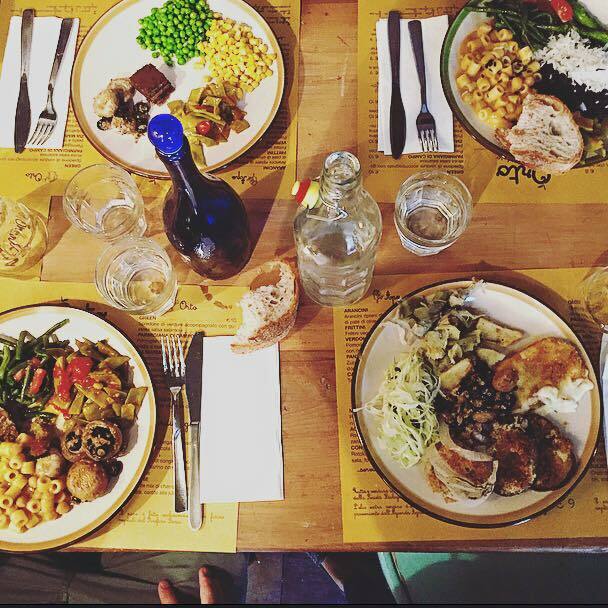 !, the totally vegan restaurant in Pigneto, has been the star of the popular district since 2013. Frequented by vegetable lovers and those who are simply intrigued by veggie cuisine, you certainly can’t tell that none of the products are derived from animals as the food is packed full of delicious flavours. Behind it all in the kitchen are Paolo Petralia and his wife Alessandra Pezzuolo who have for years been at the heart of the veggie scene through Vegan Riot. Their dishes recreate traditional recipes (there being a particular focus on zero km and organic products). So it’s not just spoonfuls of veloutés and salads here, you can enjoy starters such as gluten-free fettuccine with ragu and pesto gnocchi with sage and cashews (8.50 euro), to mains like zuccotto made with lentils in the Mediterranean style (8.50 euro) and desserts like tofu cake with blueberries and ginger (5 euros). The cooking at Romeow, a bistro that’s seemingly half run by cats (the eatery’s permanent residents), is entirely vegan, taking inspiration from Indian and Mexican cuisine, while also serving a menu of raw food. 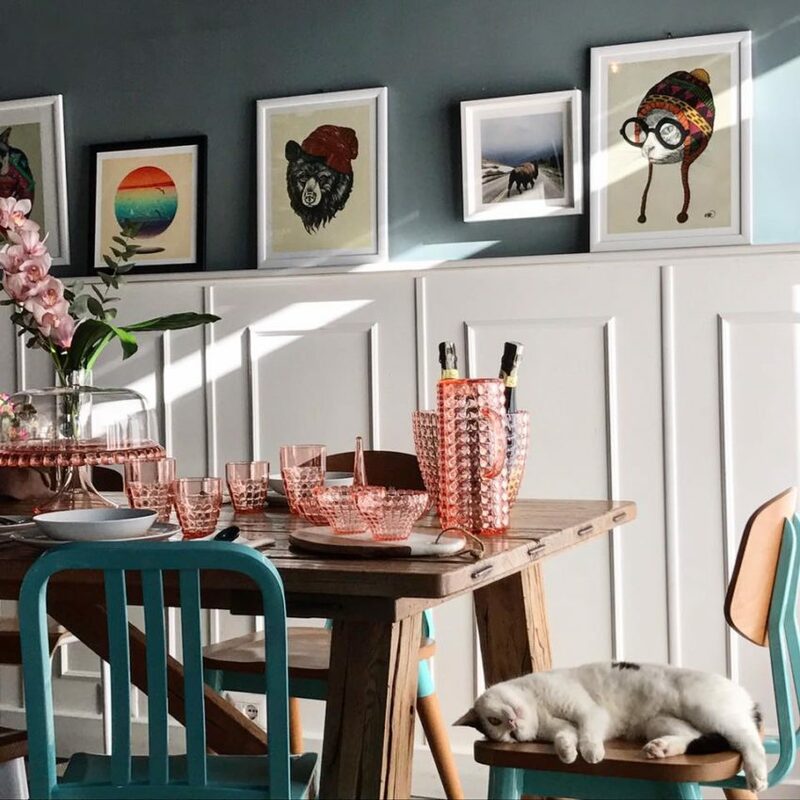 Here you will eat surrounded by tiny coloured tables, plants and draws that hang open where the cats will slyly observe you as you taste the menu’s many dishes. You can enjoy muffins, brownies (4 euros) and raw cakes for breakfast, such as the pear and caramel tart or blueberry and coconut cake (7 euros). For lunch and dinner there’s troccolo (thick spaghetti) with wild asparagus, a light turmeric cream and asparagus chips, or mille-feuille made with tempeh, served with okra, courgettes, courgette flowers and a meddler and harissa sauce. As for the raw dishes (which are also gluten-free), do try the radish spaghetti with a cheese made of macadamias, capers and dill. Don’t forget to taste the fair trade coffee (2.50 euros) and the organic fruit extracts (6 euros). La Capra Campa, in Prenestina, is one of Rome’s best known vegan bistros. 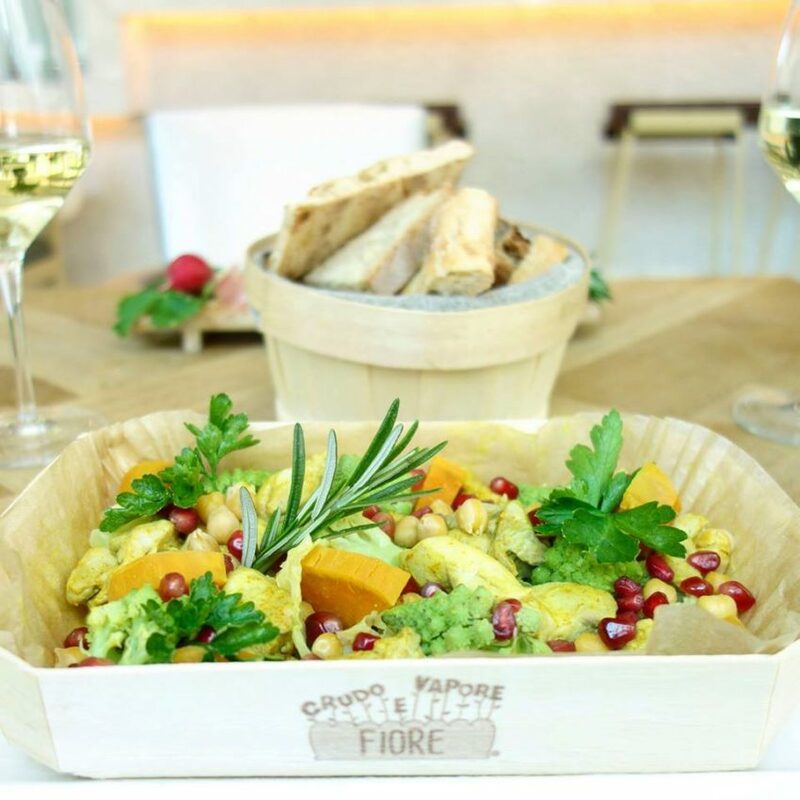 Here you’ll only find 0 km vegetables on the menu (that come directly from the Lazio countryside): the flours, legumes and grains are all organic, and the dry fruit is fair trade. And if that isn’t enough, the gluten-free and ‘vegan cheeses’ are made in-house – you can taste dishes prepared by chefs Francesco and Davide Passcantilli, such as gluten-free focacciotto that has been porchettato (stuffed with garlic, rosemary, fennel and herbs, like porchetta) served with salad, roast mushrooms and garnish (10 euros), a mille-feuille with aubergine, tomato, vegan mozzarella made with fresh oregano and tomato (9 euros) and butternut squash and broccoli risotto with hazelnut crumble (10 euros). As for the desserts on offer, there’s a lemon and cardamom crème with a crumble of dried fruits, and apple cake with chocolate and cinnamon, both gluten free (4.80 euros). 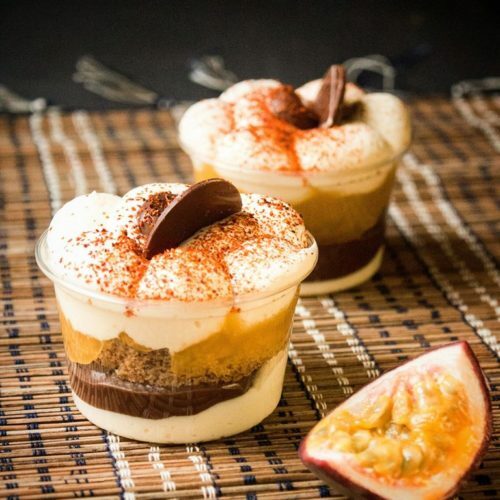 If you’ve got a sweet tooth and don’t want to give up the cheese cake, tiramisù and other delicious desserts, there’s Grezzo, the raw patisserie and chocolate shop. The tasty raw chocolate is manipulated at low temperatures to keep all the nutritional qualities of the cocoa. 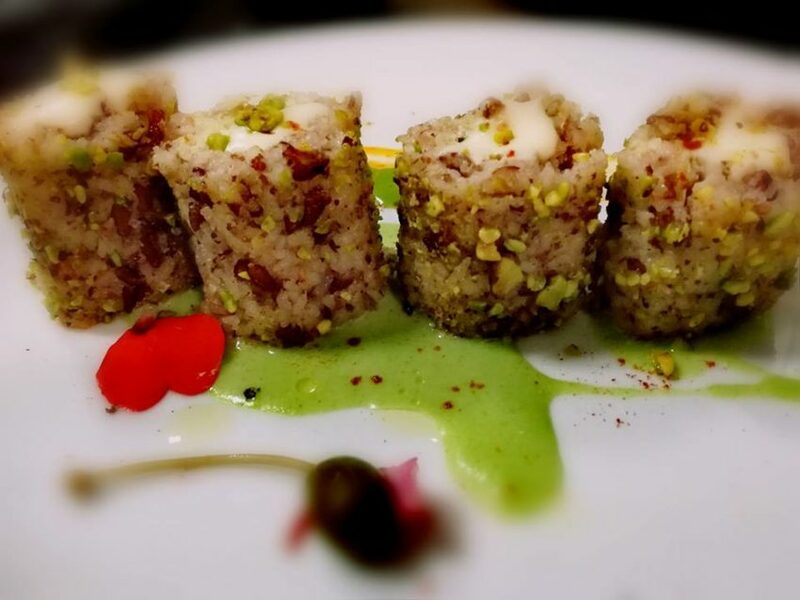 Raw chef Vito Cortese ensures his creations are made with organic vegetarian ingredients, and the ‘cooking’ never exceeds 42°. All the desserts are completely vegan and gluten free, you can try a slice of cheesecake (5.50 euros), hazelnut (4.40 euros) or pistachio (5 euros) brownies, tiramisù (6 euros), cream tart with macadamias and chocolate, many different types of cake (from 55 to 60 euros per kg), and, last but not least, raw ice cream (34 euros per kg) made with ginger and non pasteurized coconut pulp. 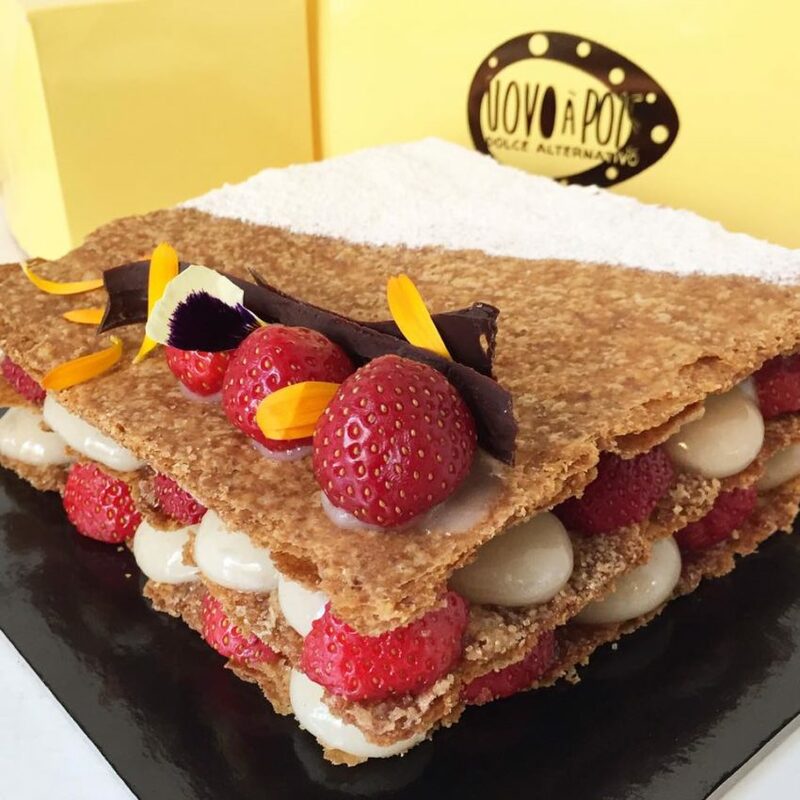 If you find yourself near Porto Fluviale and feel like a sweet treat made with whole-wheat flour and natural, unrefined sugar (the only exception being the icing sugar and food colourings used in the cake decoration), and free from milk and hydrogenated fat, Uovo à Pois is the place for you! An organic, gourmet patisserie run by chef Alberto Paciaroni, who has worked with Kotaro Noda, head chef at the Magnolia restaurant at the GranHotel and Heinz Beck, head chef at La Pergola. On the menu you’ll find: Coccòlle 2.0, a yonut mousse made of roasted pears, biscuits and a hazelnut glaze, Girasole, a pineapple and pimento pepper upside down cake with pearls of sunflower honey and seeds, or Eros, a chocolate fondant and cayenne pepper mouse with a coffee jelly centre, hazelnut marzipan and a chocolate glaze (all 4 euros). 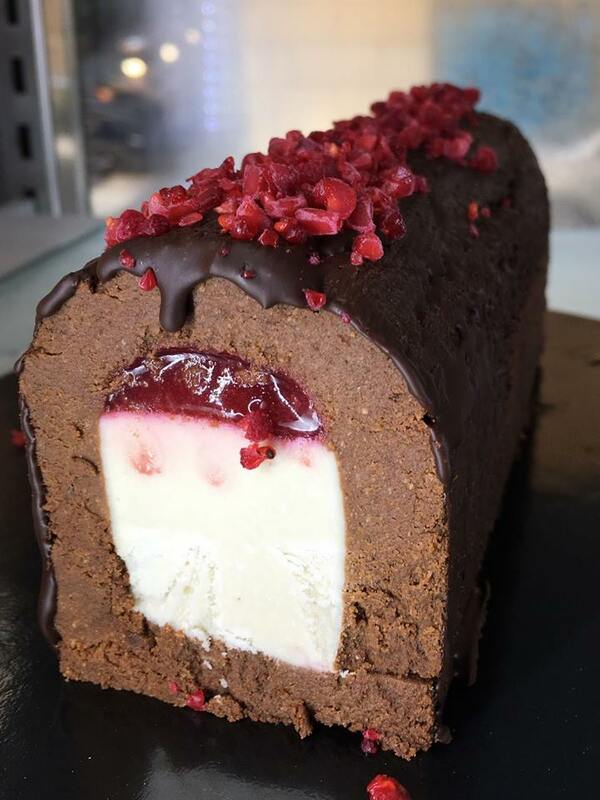 There are also whole cakes available to order (from 25 to 35 euros per kg), pastries made with alternative sugars (like agave sugar, rice and honey malts) and soon there will also be a selection of ice creams. If you’re craving fast food and tasty paninis, look no further than Universo Vegano, the cruelty-free franchise that uses no products that are derived from animals and serves only home-made Italian food, using no conservatives or colourants. 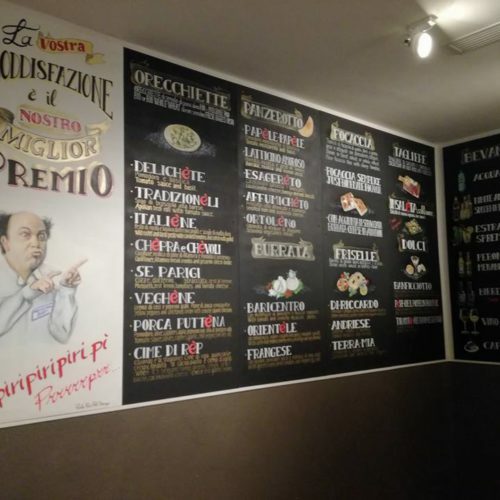 You can try one of the burgers, such as the Vegan Giotto Spinaci with a tofu and spinach filling, vegetable mayonnaise and vegetarian cheese (5.60 euros), or the Veghine, piadine made with a spirulina paste (from 4.90 to 5.60 euros), or the vegetarian pizza, La Veghizza. For those who are really adventurous, try the Bolognese vegan lasagne, the paella or the tofu and spinach cannelloni. Il Margutta, known as RistorArte, is famous in Rome for being an excellent vegetarian restaurant where you enjoy, other than gourmet food, art exhibitions, theatre shows, book launches, meet-ups and debates. There are even campaigns here in solidarity with protecting animals. 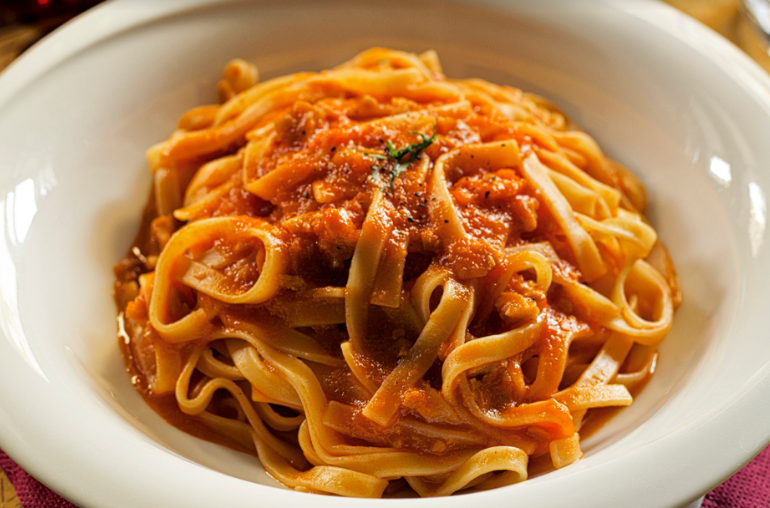 At Il Margutta, from brunch until dinner time, the dishes are made with the highest quality products. There’s a tasting menu (and even a vegan menu available) or you can eat from the à la carte menu. The dishes that are an absolute must are the thyme, lime and ginger essence risotto cooked with creamed mascarpone (14 euros) and the vegan fillet of seitan with pink Madeiran peppercorns, roast potatoes and raspberry jus. In Prati you’ll find Orto, a vegetarian restaurant where the food is affordable and the portions are huge, packed with lots of organic vegetables and delicious local olive oil. For dinner there’s an à la carte menu and at lunch time there’s an enormous buffet which costs 9 euro per person. We recommend the pear, hazelnut and cinnammon béchamel lasagne (10 euros) and the courgette and potato parmigiana served with pesto and toasted almonds (10 euros). There are also two specials each week for when you feel like trying something a little different. Orto, via Giuseppe Gioacchino Belli 142, Rome. Tel. 06 4567 8050. Website. Le Bistrot, a vegan and vegetarian restaurant with a retro vibe, serves traditional recipes with a focus on Mediterranean flavours. You can try the onion or vegetable soup (12 euros), black spaghetti with taggiasca olives (12 euros) and red turnip and truffle risotto (12 euros). Don’t miss the desserts – there are traditional sweet treats or vegan and gluten free versions. 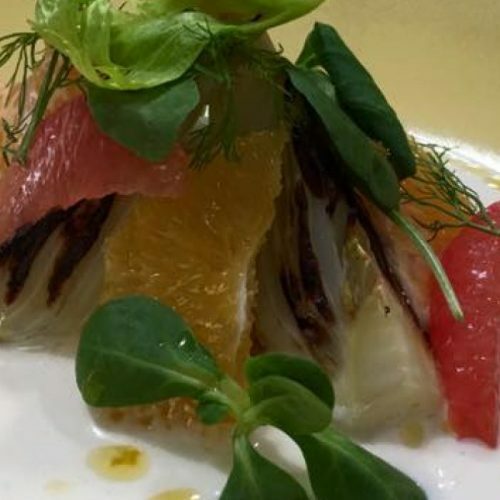 Fiore Crudo e Vapore is a restaurant run by chef Matteo Cavoli, where the cuisine combines local and traditional recipes with raw cooking. As a result vegetarians, vegans and carnivores alike feast beside one another. The restaurant tries to satisfy every taste and dietary requirement, with organic produce and a huge menu. You can try all sorts, from gourmet dishes to raw food recipes such as courgetti with stracchino made of rice, hazelnut pesto and sage (13 euros), to traditional fish and meat dishes, and even to baked breads, like one made from pearl barley and chickpeas, or the ‘Poggi’ made from butternut squash, sweet potatoes, cabbage, shitake mushrooms, potatoes, lentils and mixed seeds with vegan mayonnaise made with turmeric and almond milk (13 euros). 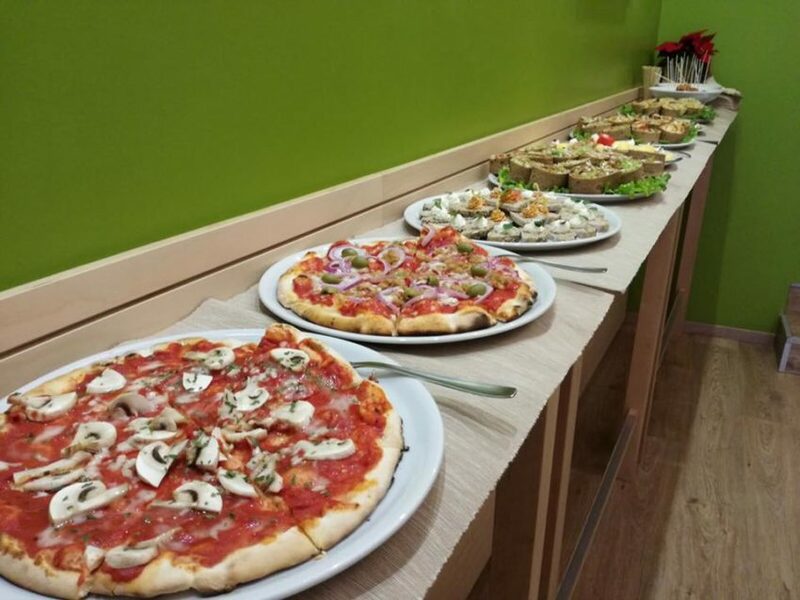 Don’t miss the salads (from 8 to 16 euros) and the selection of raw and traditional desserts.